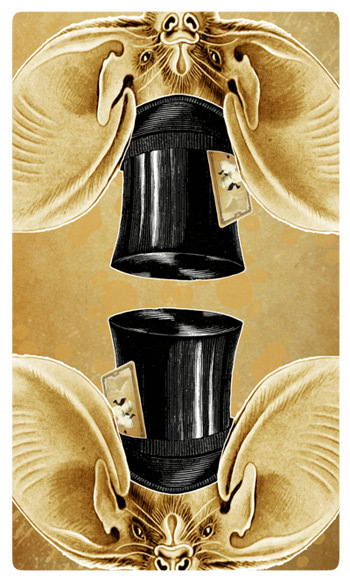 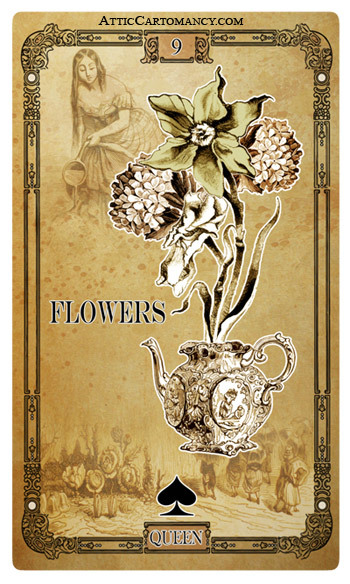 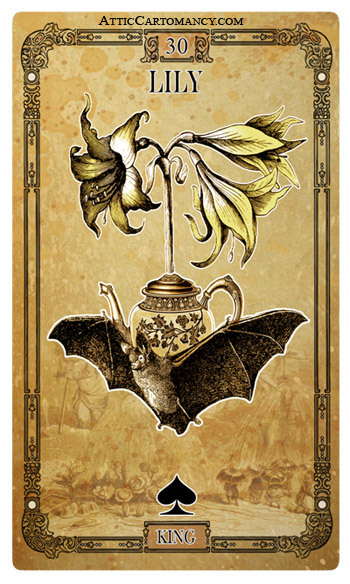 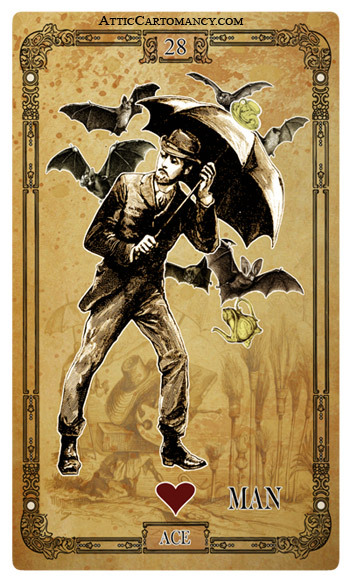 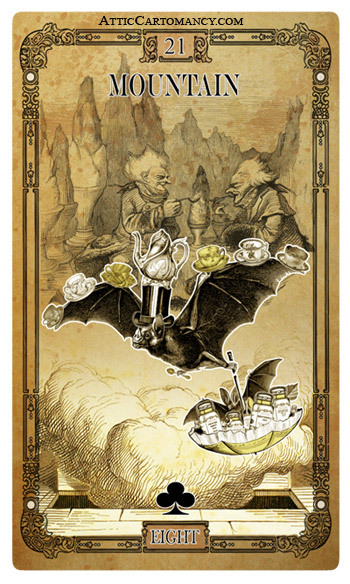 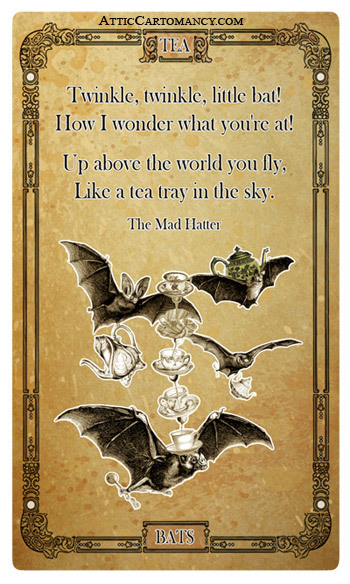 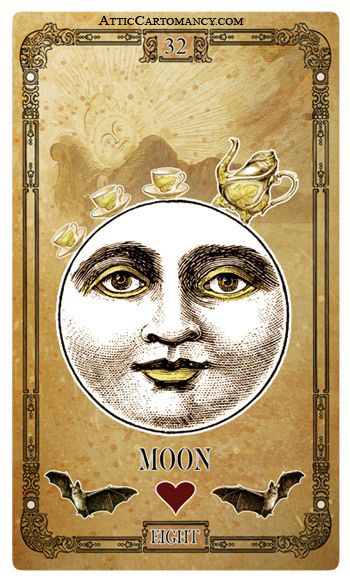 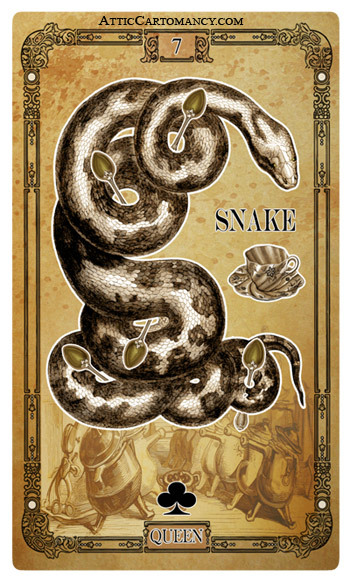 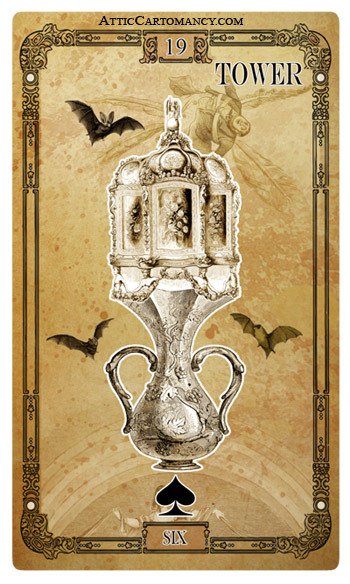 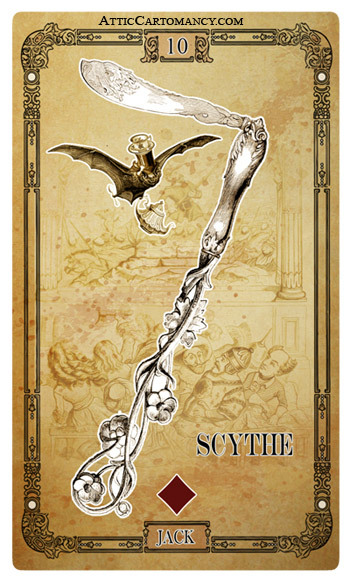 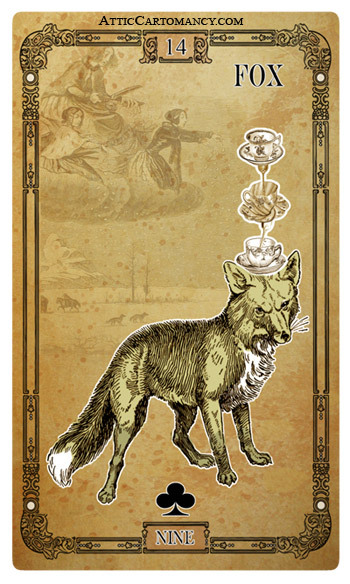 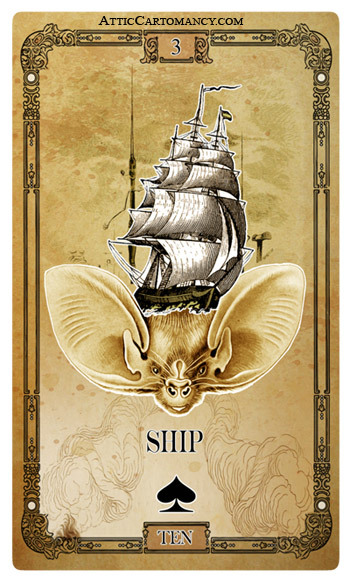 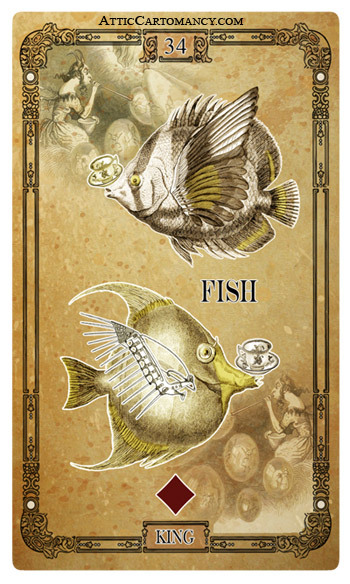 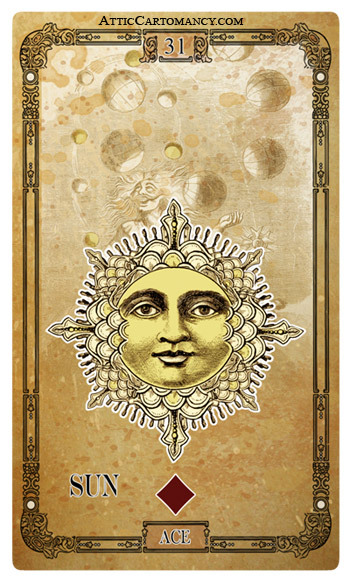 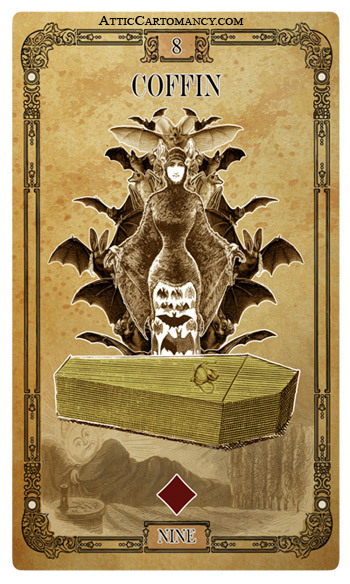 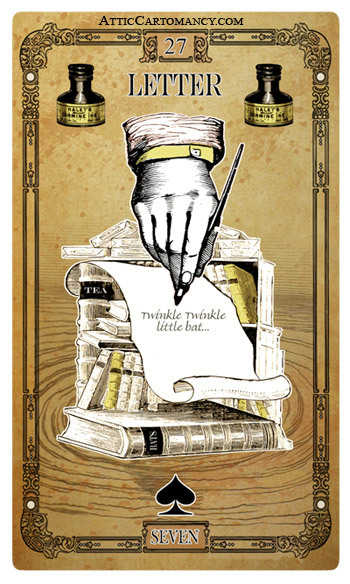 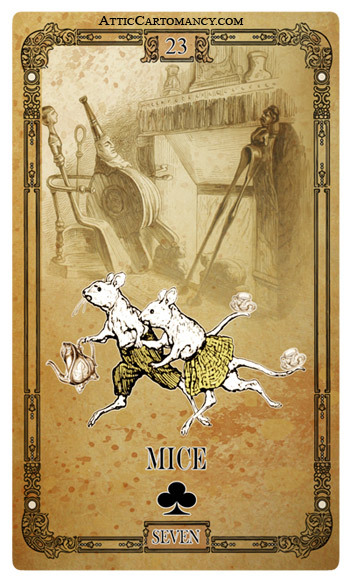 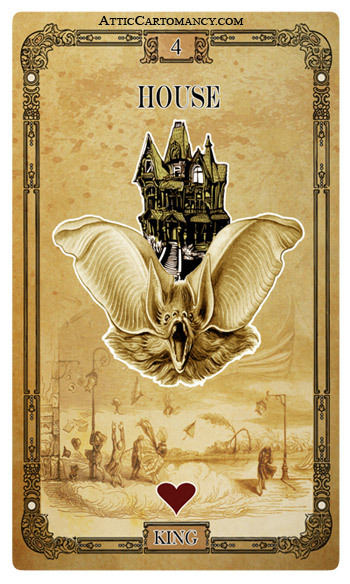 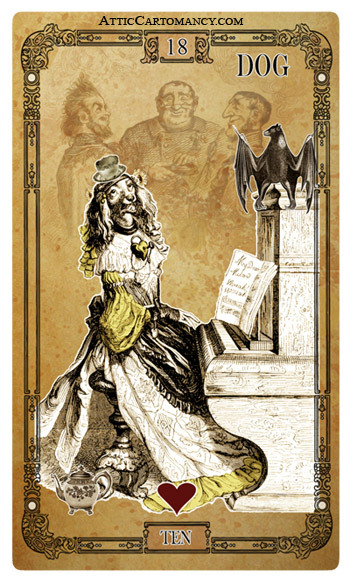 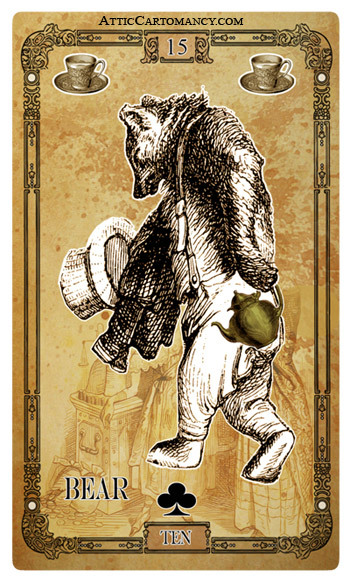 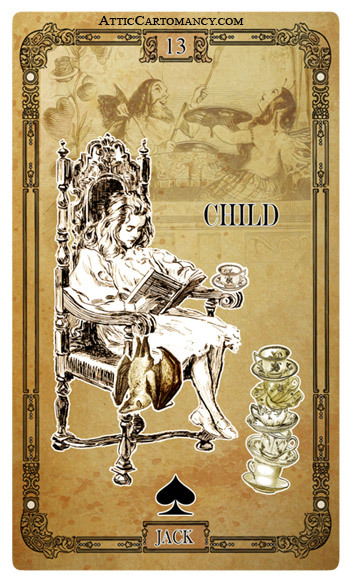 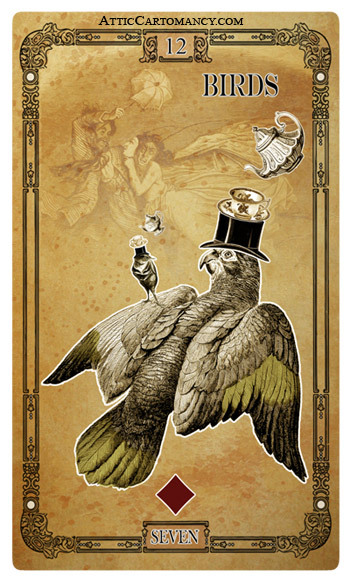 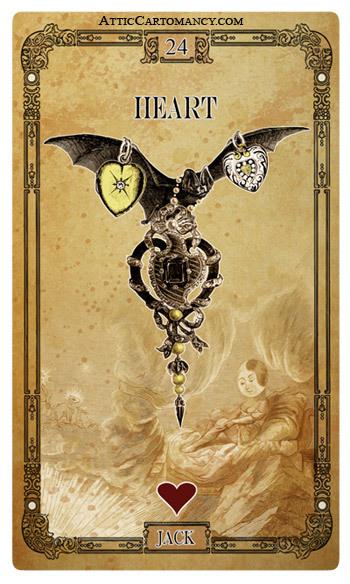 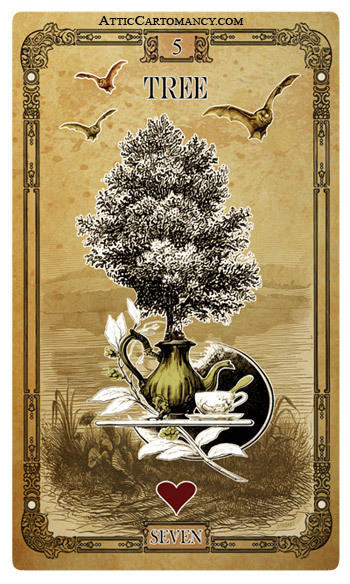 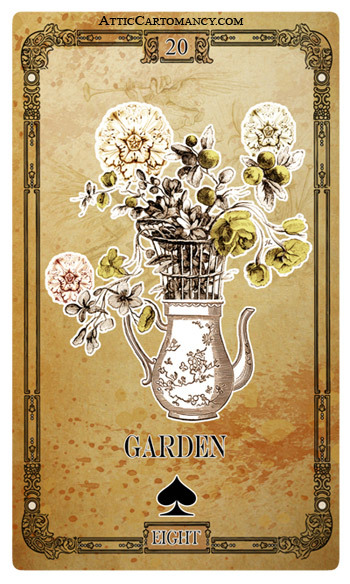 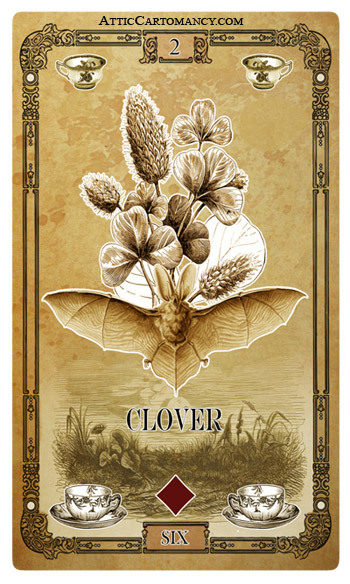 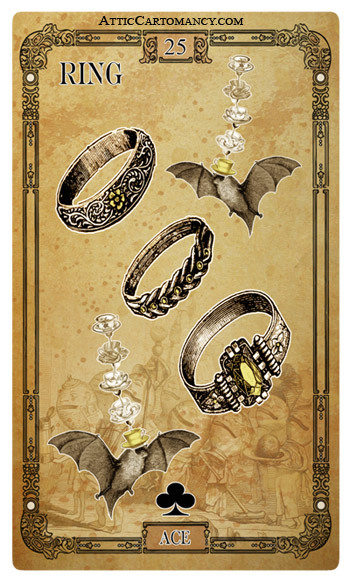 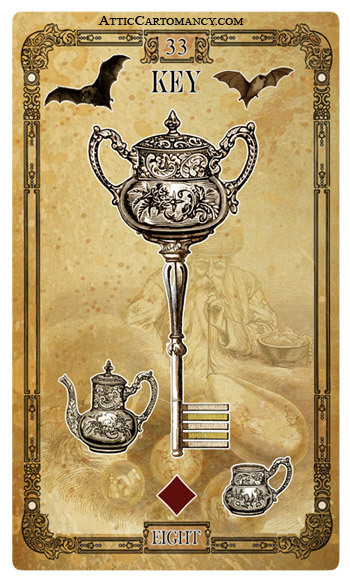 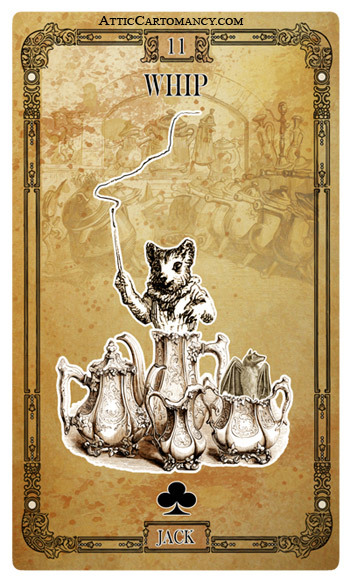 The Tea Bats Lenormand was created for my Orange Moon Tea Society fiction/project and the style and design was inspired by the Mad Hatter poem Twinkle Twinkle Little Bat. 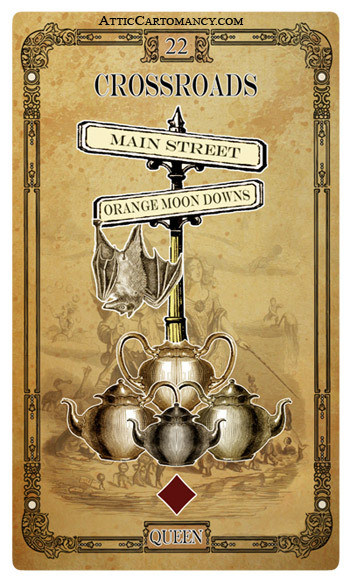 The Orange Moon Tea Society is a fictional group in my Snapdragon Tea young adult series. 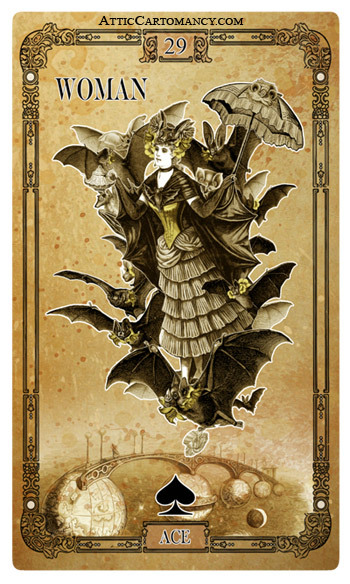 A trio of sisters from the story own a bat emporium that sometimes acts as a whimsical bat cabaret on the weekends. 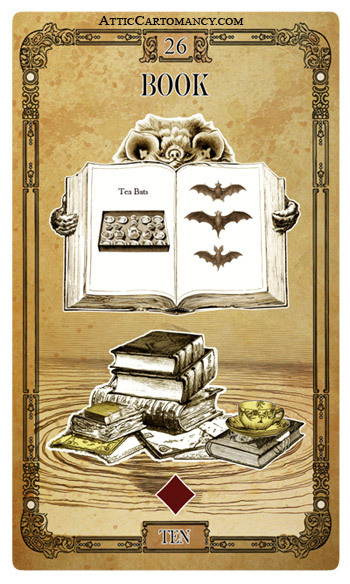 In the story the deck was created by the eldest sister a.k.a. 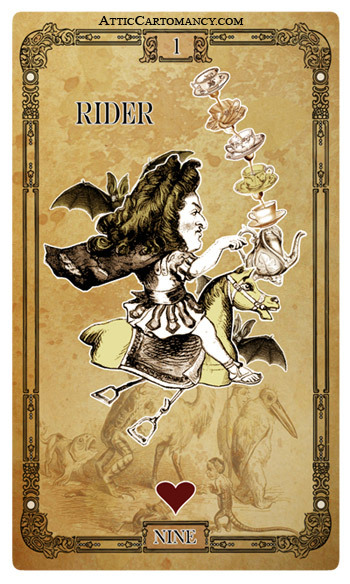 Flossie Leather Feathers and she uses it as a discussion piece at her society’s tea parties. 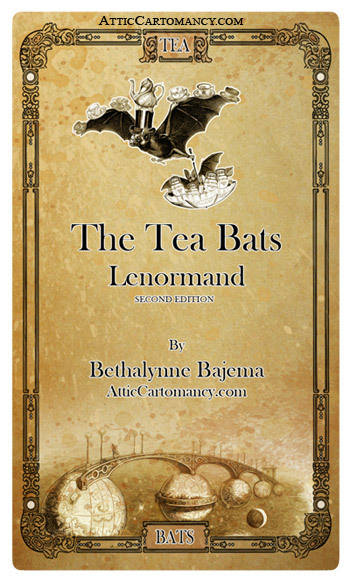 It’s meant to look old and weathered; embracing all that is tea and bats, among a few other creatures that turn up. 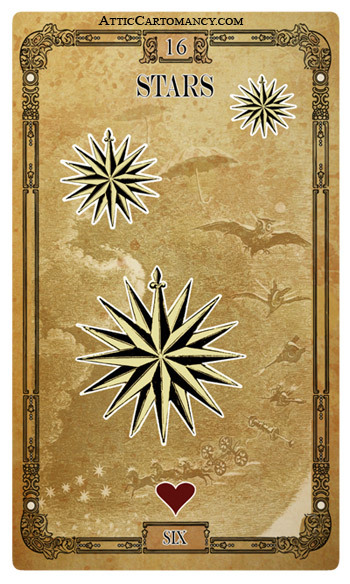 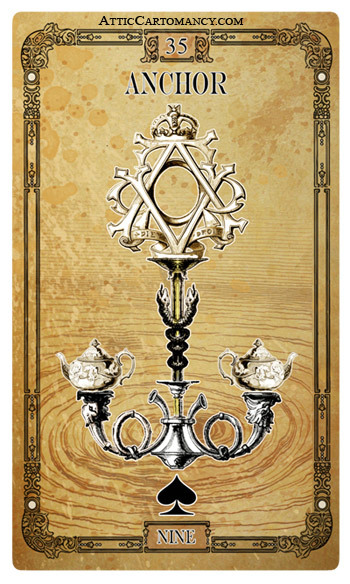 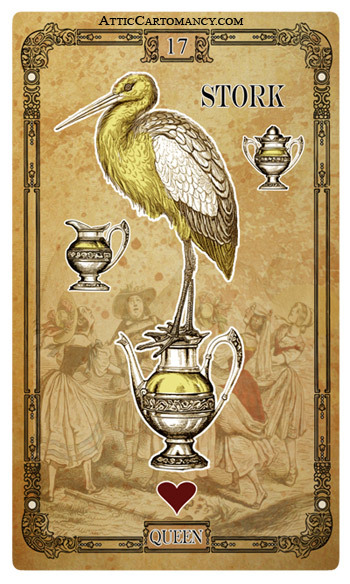 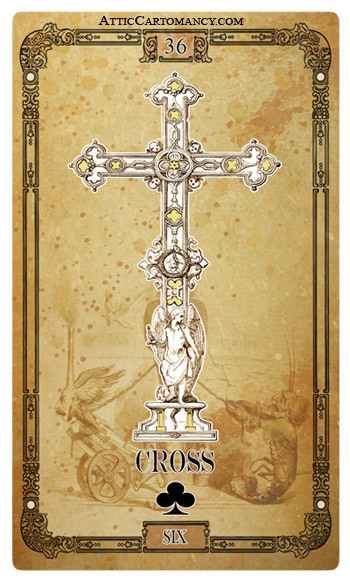 Changes to the deck for the second edition include enlarging the cards to the standard tarot sized cards I use for all my other decks. 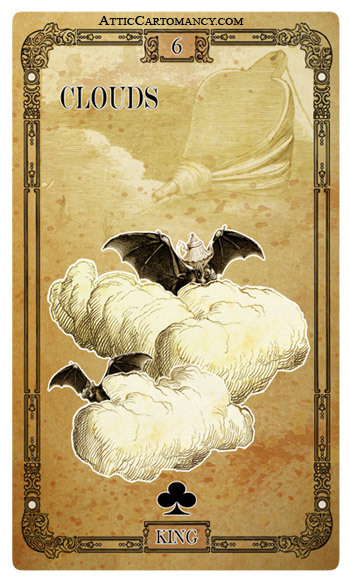 I’ve given a little more detail to the artwork as well as adding a little more light coloring through tinting.